The Sahlen’s Six Hours of the Glen weekend, at Watkins Glen International, began the second half of the 2013 GRAND-AM season as BMW drivers in both the Rolex Sports Car and Continental Tire Sports Car Challenge series closed out the grueling and successful three-race month of June. 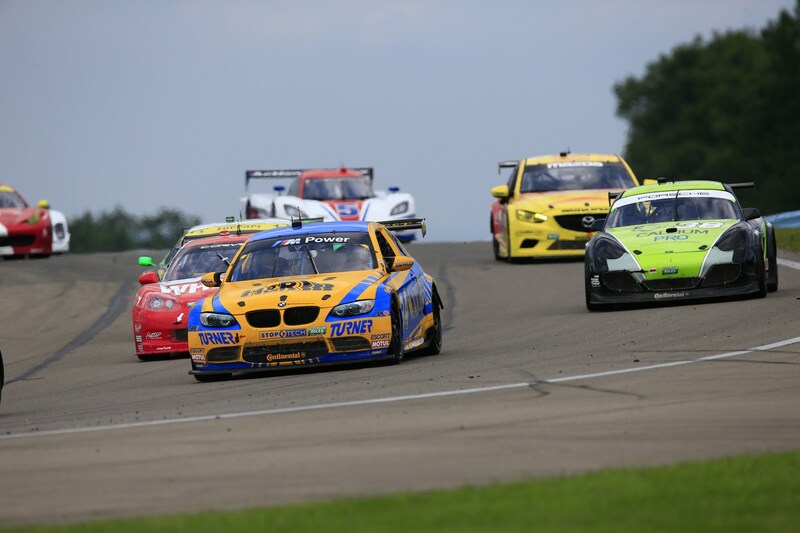 Saturday’s Continental Tire 150 At The Glen was an all Fall-Line Motorsports affair with the Buffalo Grove, Illinois based team racing all three team BMW M3s to top-four finishes in the 2.5-hour contest, including the inaugural CTSCC Grand Sport class victories for No. 46 M3 co-drivers Mark Boden and Bryan Sellers. The No. 45 M3 of Al Carter and Hugh Plumb finished third and the No. 48 M3 of Charles Espenlaub and Charles Putman finished fourth. The second BMW M3 victory of the season (Auberlen/Dalla Lana – Circuit of the Americas) moves BMW to fourth in the Manufacturer point standings. In the Street Tuner class the top finishing BMW was the No. 62 Mitchum Motorsports BMW 128i of Pete McIntosh and Mike Skeen in seventh. BMW now stands second in ST Manufacturer points. Any chance at a win in Sunday’s headlining Rolex race was dashed when a fueling infraction on the final pit stop cost Scott Pruett a potential fifth victory in the Sahlen’s Six Hours. Pruett was running fourth when he stopped in the No. 01 Telcel/TELMEX BMW Riley, along with race leader Christian Fittipaldi. Pruett left the pits with the fuel nozzle still coupled, resulting in a stop-and-go plus 60-seconds penalty. Pruett and Memo Rojas went on to finish seventh. 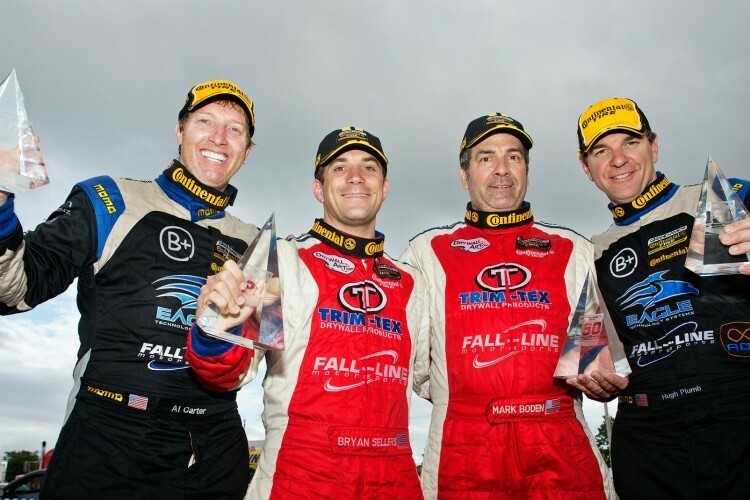 The duo stands sixth in Daytona Prototype driver points. The No. 42 Team Sahlen BMW Riley of driver Wayne Nonamaker led four laps in the event sponsored by car owner and team driver Joe Sahlen. The team struggled with communications problems throughout the race but was still on the lead lap until late in the race. They ultimately finished 12th after losing the clutch with three laps remaining. The No. 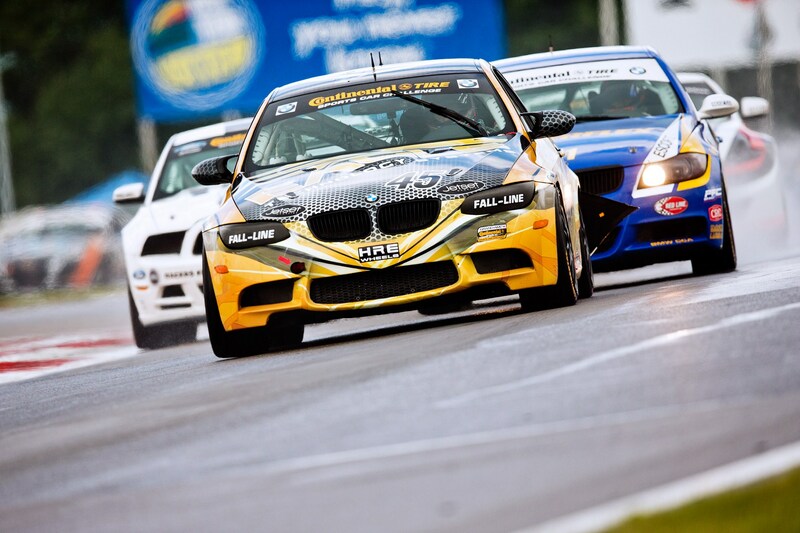 43 Team Sahlen BMW Riley finished 13th.